BANGKOK – The organizing committees of the 63rd YWCA Diplomatic Charity Bazaar 2016, visited NBT World earlier and granted an exclusive interview as part of Thailand Today’s program. Mrs. Juri Sekiguchi-Drofenik, the Chairperson of 63rd YWCA Diplomatic Charity Bazaar 2016, extended her deepest condolence on the passing of His Majesty King Bhumibol Adulyadej, to the royal family and to all the people of the Kingdom of Thailand. In an acknowledgement to His Majesty’s leadership and his contribution to Thai society, the organizing committees wish to follow in His Majesty’ footsteps by helping underprivileged people through implementing as many as social and educational projects as possible. 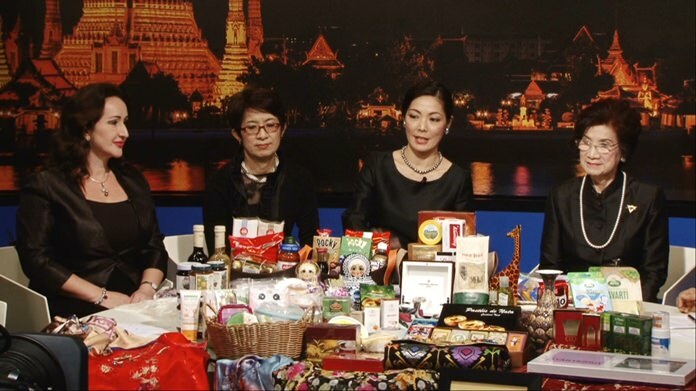 Mrs. Wantanee Chotinatasaeth, Acting President of YWCA Bangkok has invited Thai people to experience the world of shopping and giving with exclusive products from more than 40 countries at the 63rd YWCA Diplomatic Charity Bazaar 2016. The Bazaar will be held between 18-20 November at Central World. You can catch the full episode of Thailand Today on 3rd November at 08:30 PM, right here on NBT World.